WHAT: In a dystopian future where society has been divided into five factions – Abnegation, Erudite, Dauntless, Amity and Candor – 16-year-old Beatrice Prior (Shailene Woodley) discovers that she’s Divergent, one of the rare few with an aptitude for multiple factions. But there are those that feel threatened by her kind, so Beatrice joins Dauntless in an attempt to hide her secret, finding an unlikely ally in trainer Four (Theo James). WHY: Yet another young adult book series adapted for the big screen, “Divergent” spends so much time trying to educate the audience on all the nuts and bolts of author Veronica Roth’s complex universe that it never quite gets off the ground. The mythology itself is pretty sketchy, with so many unanswered questions about how the faction system operates and the motivation behind certain characters’ actions that it’s difficult to fully invest in the story. 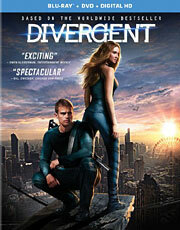 Though there’s an interesting concept regarding government and societal classes at its core, “Divergent” ultimately feels like two and a half hours of (mostly boring) exposition – the setup to the bigger story that is seemingly explored in the other books. 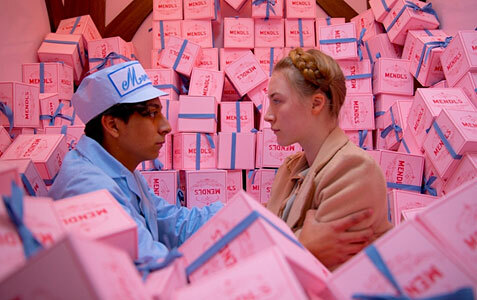 The problem, however, is that despite assembling a stellar cast of young up-and-comers, Oscar winners and veteran character actors, director Neil Burger fails to make you care enough to want to see those future installments. “Divergent” is apparently very faithful to the source material, and in that regard, fans won’t have much to complain about, but as a potential franchise-starter, it falls disappointingly short. EXTRAS: The Blu-ray release includes a pair of audio commentaries (one with director Neil Burger and another with producers Douglas Wick and Lucy Fisher), a making-of documentary, a featurette on the five factions and some deleted scenes. WHAT: After an illegal racing accident lands small-town mechanic Tobey Marshall (Aaron Paul) in prison, he emerges determined to exact revenge on the man responsible, former rival Dino Brewster (Dominic Cooper), by competing in a top secret, invite-only race called the DeLeon. But before he can get justice, Tobey must race against the clock to get from New York to San Francisco in time for the event, all while evading the various law enforcement authorities hot on his trail. WHY: It’s amazing that it’s taken this long for another studio to exploit the success of the “Fast and Furious” franchise with a racing movie of its own, but considering that Electronic Arts’ “Need for Speed” video game series predates the adventures of Dominic Toretto and Brian O’Connor by several years, you can hardly blame DreamWorks for wanting a piece of the pie. Unfortunately, apart from casting Aaron Paul in the lead role, there’s not much to like about Scott Walsh’s racing flick, which takes itself a little too seriously compared to the winking self-awareness of the “Fast and Furious” movies. “Need for Speed” is in desperate need of a lot of things – a better script, stronger direction, better pacing – but one thing you wouldn’t think it’d be lacking is excitement, and although the film has more its share of piston-pumping driving sequences, most of them are pretty tame, often dragging on for too long or cutting away to needless reactions from other characters. Gearheads will get some joy out of watching the assortment of beautiful cars speeding around the screen, but “Need for Speed” fails to be a worthy competitor to the “Fast and Furious” series, let alone a potential heir to the grease-streaked throne. 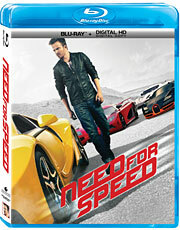 EXTRAS: The Blu-ray includes an audio commentary by director Scott Walsh and actor Aaron Paul, four production featurettes covering things like the car race sequences and sound production, a handful of deleted scenes and a short outtakes reel. 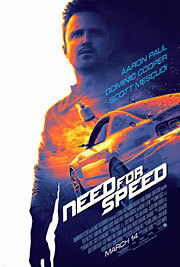 It’s amazing that it’s taken this long for another studio to exploit the success of the “Fast and Furious” franchise with a racing movie of its own, but considering that Electronic Arts’ “Need for Speed” video game series (from which the film gets its name) predates the adventures of Dominic Toretto and Brian O’Connor by several years, you can hardly blame DreamWorks for wanting a piece of the pie. Casting Aaron Paul, hot off his Emmy-winning role on “Breaking Bad,” as the leading man was a surefire way to drum up interest, but it was ultimately a wasted effort, because “Need for Speed” has so many other problems that finding the right actor should have been the least of Scott Waugh’s concerns. Paul plays Tobey Marshall, a small-town mechanic who moonlights as an illegal street racer. When the debt starts piling up at the garage that he inherited from his late father, Tobey is handed a lifeline by former rival Dino Brewster (Dominic Cooper), who hires Tobey and his crew to finish building a custom Shelby Mustang worth millions. But after Dino’s ego is bruised and he challenges Tobey to a race to prove his superiority, one of Tobey’s friends is killed in the process, landing him in prison while Dino gets away scot-free. Several years later, Tobey is released from jail and ready to exact his revenge, but in order to do so, he needs a car capable of competing in the top secret, invite-only race called the DeLeon, where he knows Dino will be. Teaming up with the gearhead daughter (Imogen Poots) of the man who purchased the Shelby, the pair embarks on a race against the clock to get from New York to San Francisco in time for the event, all while evading the various law enforcement authorities chasing them.